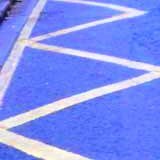 It was great to see the addition of the long awaited yellow lines. It is such a shame that the parents at the school do not seem to have noticed them as they are still parking on them at the most dangerous times. Come on police/council/traffic wardens, let’s see these lines enforced and on the spot fines given to these law breakers.